We are excited to show the work of so many of our wonderful artists this month. The show includes works by Gregory Prestegord, Serge Zhukov, Jesse J. Gardner, Charles Newman and Joshua Koffman. Also new paintings by Claire Haik, Kate Kern Mundie, Neil Berger, and David Bottini. 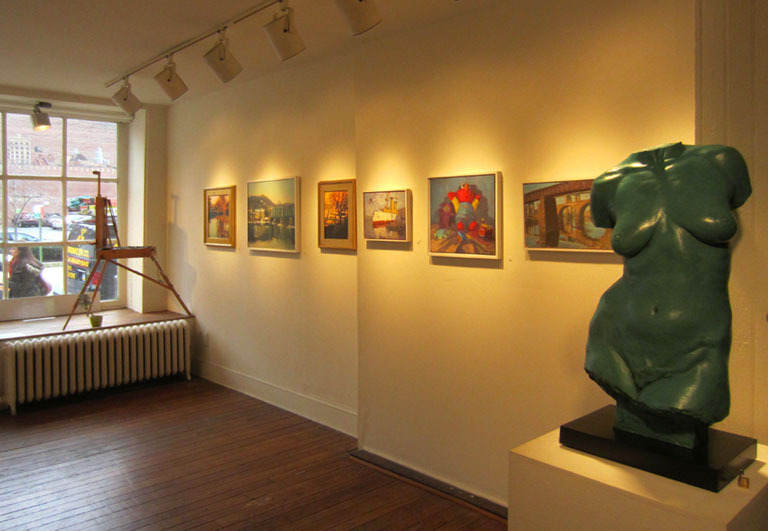 The show features figurative sculpture by Joshua Koffman. 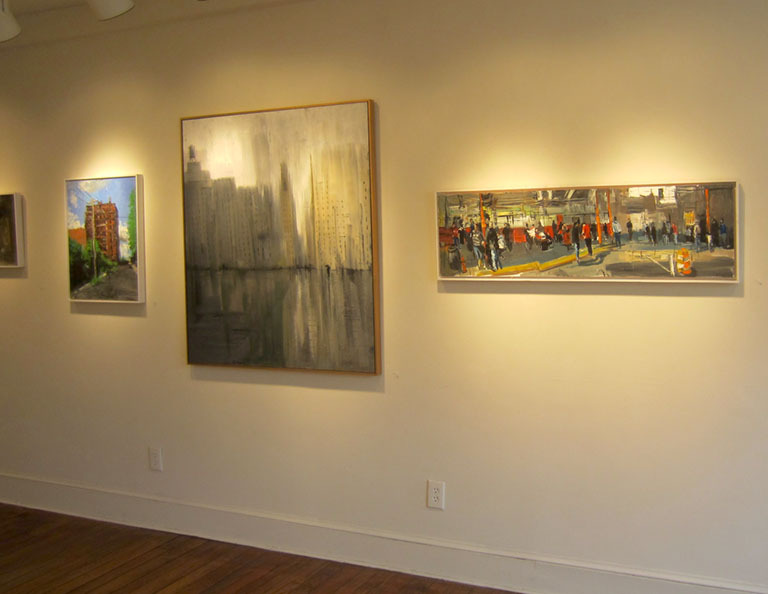 Urban landscapes by Neil Berger, Kate Kern Mundie, Jesse J. Gardner, and Gregory Prestegord. Winter landscape by Serge Zhukov. Still life and landscape paintings by Charles Newman. Rural landscapes by David Bottini and Claire Haik. Works by Serge Zhukov, Jesse J. Gardner, Charles Newman and Joshua Koffman. 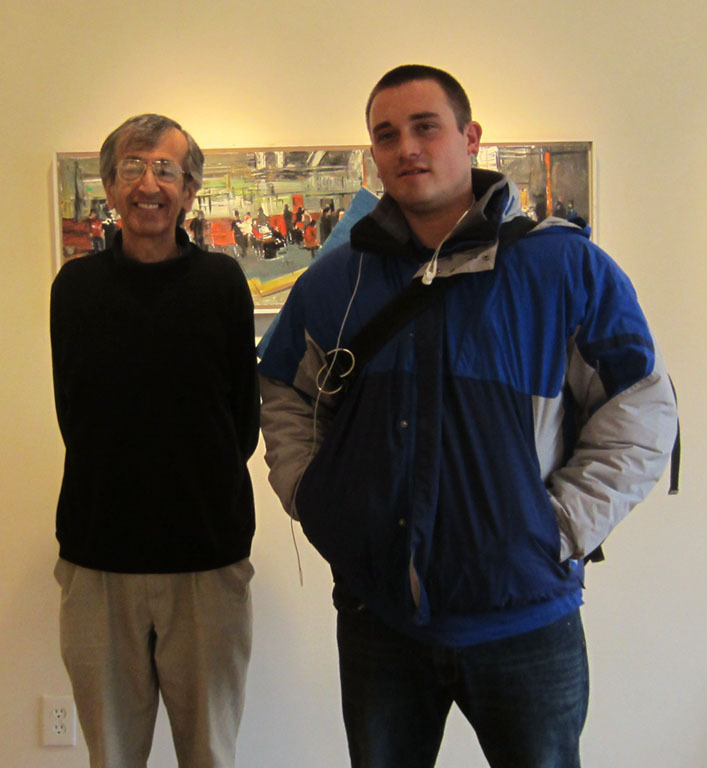 Fred and Greg in front of one of Greg’s paintings.